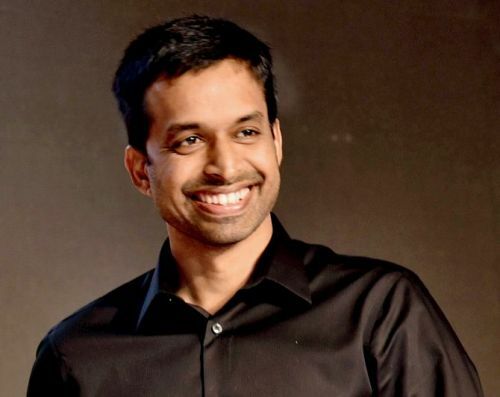 Mumbai, Dec 6 (PTI) In a new talent hunt initiative to signal completion of one year of its association with IDBI Federal Life Insurance, the Pullela Gopichand Academy will identify 10-15 under-10 children to be inducted into the Hyderabad-based academy. Announcing the "Young Champs campaign", CEO of the insurance company and former Mumbai pace bowler, Vignesh Shahane, said, "We are driven by passion, not money in this grass-roots initiative. Whatever needs to be done to produce world champions will be done." Commencing tomorrow under-10 children could showcase their badminton skills by uploading a two-minute video on the Facebook and Twitter pages of the Academy's existing initiative with the insurance firm, "Quest for Excellence", till December 28. "What I would look for in the video during a rally is basic footwork, speed, wrist work, hand-eye coordination and style of strokes," said Gopichand to a specific query. "10-15 is the number we are looking for. It could vary depending on the number of entries," added the national badminton coach and former All-England singles champion. "Badminton has grown tremendously at grassroots but in the last few years I haven't got enough time to be with the younger players - as much as I would have liked. And this idea came up while sitting and chatting with some players," said Gopichand.